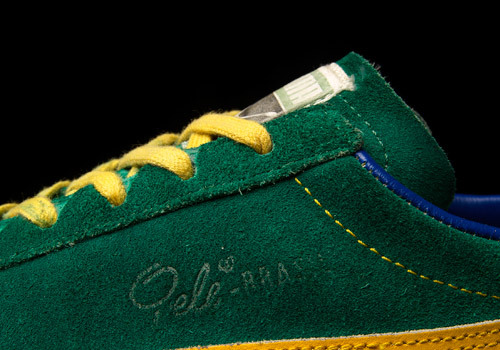 With no printed signs of production location, year, or even a size number, the Pelé Brasil model is shrouded in mystery. 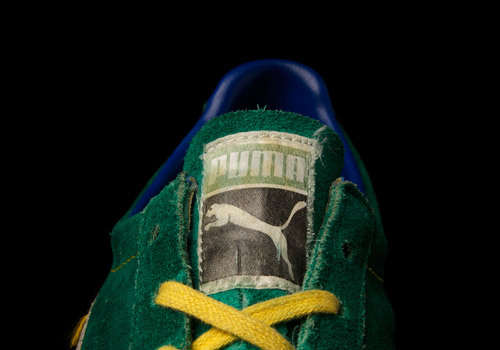 A fading, swirling script along the side bares the model name, but beyond that and the leaping cat across the tongue they are completely void of any symbolic iconography or other human-readable information. 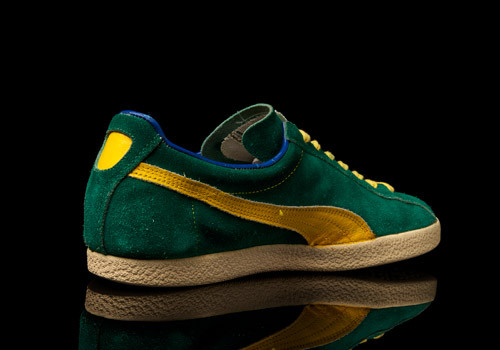 However, what is obvious to us is the collaborative effort between PUMA and the world-famous Brazilian football player Edson Arantes do Nascimento, or better known by his nickname of Pelé. 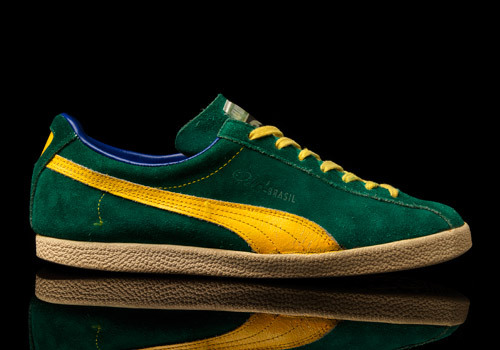 This isn’t the only vintage pair we’ve seen with his name on it, including the Pelé-ized version of the PUMA Dallas re-coined the Pelé Granat. 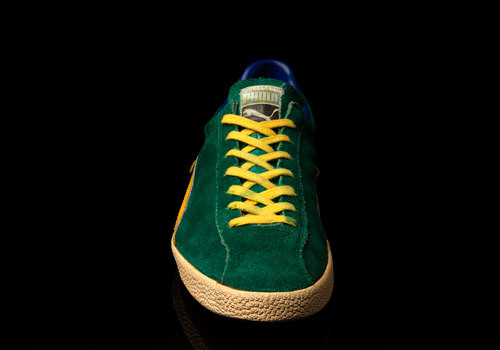 Sturdy as hell, comfortable as ever, the main downside that hits immediately is the worrisome bleed form the lush forest green into the inner lining of the shoe as well as the rich, bright yellow laces. 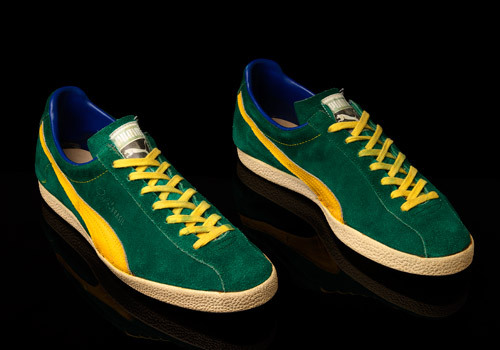 However this is no unusual state for a head to find their trainers in, especially when concerned with a pair form the past. 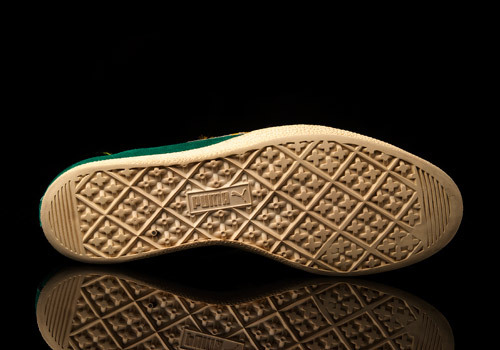 The suede has held up good even after some obvious use – enough to wear the outsole treads down to smooth rubber shapes – and the stitching and glues are holding well for a completely solid structure. 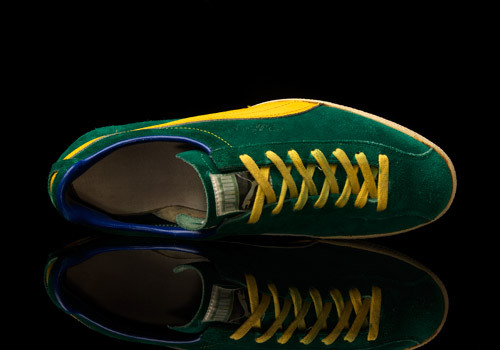 Snug fit though, so if you’re scoring a pair of these make sure you’re aware that the pointed toe is present and will confine those wide-footed friendlies out there more than the rest. Other than that there’s not much to say. 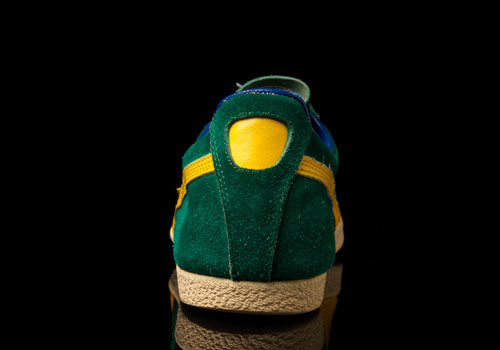 Enjoy the navy blue inner lining and get out your Pelé Brasil!